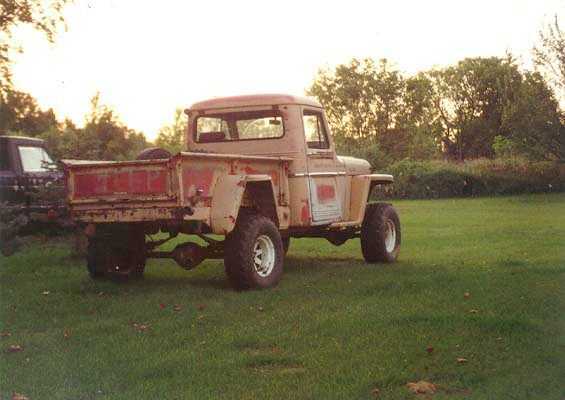 This is my '63 6-230 4WD. I bought it for $200 about four summers ago. It has the stock drivetrain with PTO and a very poorly done spring-over-axel conversion (look at the length of those front shackles!). After some tinkering I got it running, but it has NO brakes. 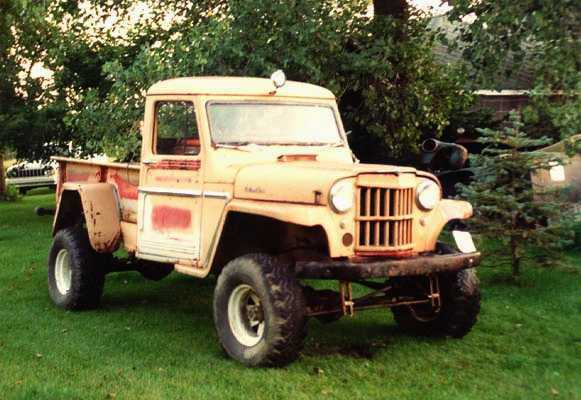 My plans are to do a functional restoration on it and enjoy it as a nice driver and errand running truck. Paint will be back to it's original red and white two-tone. It's currently resting in the barn, out of the weather waiting for it's turn in the shop.